The California Institute of Technology is a university located in Pasadena, California. 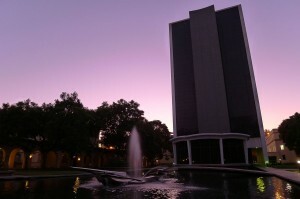 The University of California was founded in 1981 and is often referred to as Caltech. The school is private and primarily a research university.Caltech’s 124 acre primary campus is located just northeast of downtown Los Angeles. Caltech has six different academic divisions for students to choose from. It is a small four-year, research university with many students choosing to live on-campus. The school prides itself on its top performing students, especially in the fields of science and engineering. The California Institute of Technology has been accredited by the Western Association of Schools and Colleges since 1949. There are many different programs for students to choose from at Caltech including (but not limited to); Aeronautics, Astrophysics, Bioengineering, Biology, Chemical Engineering, Chemistry, Electrical Engineering, Geology, Materials Science, Mechanical Engineering, and Social Science. The school offers full-time undergraduate programs which emphasize the importance of arts and sciences. The school offers 24 different majors and six minors across a variety of academic divisions. Caltech requires students to take a core curriculum of 30 classes. Caltech also offers Army and Air Force Reserve Officer Training Corps in cooperation with the University of Southern California. Caltech also offers graduate instructional programs including doctoral studies that emphasize technology, science, engineering, and mathematics fields. Students at Caltech are bound by the school’s Honor Code. California Institute of Technology’s undergraduate tuition for the 2011–2012 school year was $36,387. In 2010–2011, Caltech awarded $14.2 million in need-based aid, $940k in non-need-based aid, and $2.35 million in self-help support to undergraduate students. Caltech wants to ensure that education is available to those that qualify and the average financial package for need-based aid was $34,928. Caltech alumni have the highest median starting salary compared to simliar educational facilities. In 2010–2011 the average starting salary for Caltech graduate was approximately $70,000 and the mid-career pay was $120,000. Approximately 99 percent of doctoral students have full financial support in order to make their education possible. Caltech requires first year students to live on campus. This allows for students to have an easier transition to their courses and new surroundings. 95% of undergraduates remain in the on-campus housing system throughout their time at Caltech. Caltech’s 124-acre primary campus is located in Pasadena, California. The school is constantly upgrading, adding new construction for research and science centers. The California Institute of Technology offers a rich social life for students with many extra-curricular activities for them to choose from. Students at Caltech can partake in drama, music, social rights, community service and even cooking clubs. Pranks have been a long standing tradition at Caltech including events such as Ditch Day. On Ditch Day, seniors ditch school and leave elaborate traps in order to prevent underclassmen from entering. In the past, students have modified the Hollywood sign to read Caltech by covering certain parts of the letters. Caltech also has a long-standing rivalry with Massachusetts Institute of Technology and many pranks have been done back and forth between the two schools. Caltech’s mascot is the Beaver, and the majority of its athletic teams play in the Southern California Intercollegiate Athletic Conference. Caltech was a co-founder of this conference in 1915. Caltech offers a wide variety of sports teams including (but not limited to); baseball, basketball, cross country, men’s soccer, swimming, volleyball, and water polo. Students who are interested in athletics but cannot commit to a rigorous schedule can find many recreational sports clubs to join at the school as well. The California Institute of Technology has many notable graduates and alumni including to respected physicist and public servant, Harold Brown and molecular biologist, David Baltimore. Stephen Wolfram who is the creator of Mathematica and Wolfram Alpha is also a graduate of Caltech.